Schaller Security Lock guitar straplocks give you peace of mind, knowing that your strap will stay positively connected and you can play your investment with confidence. 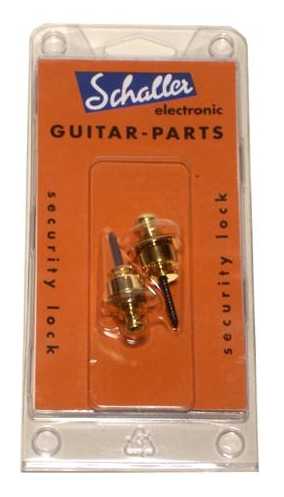 Schaller Security Lock straplocks make it easy to put on and remove your strap - simply pull out the button and slide your strap's connection out of the guitar-mounted yokes. Schaller makes premium accessories to give you the best playing experience possible, and Security Lock straplocks are a stellar example!